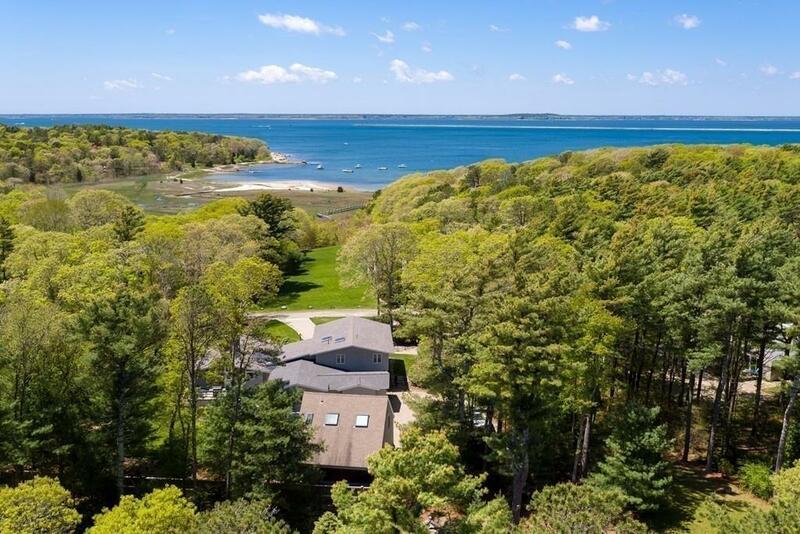 Sprawling property overlooking Buzzards Bay with AMAZING SUNSETS and plenty of room for family and friends to come and enjoy the easily accessible private beach. 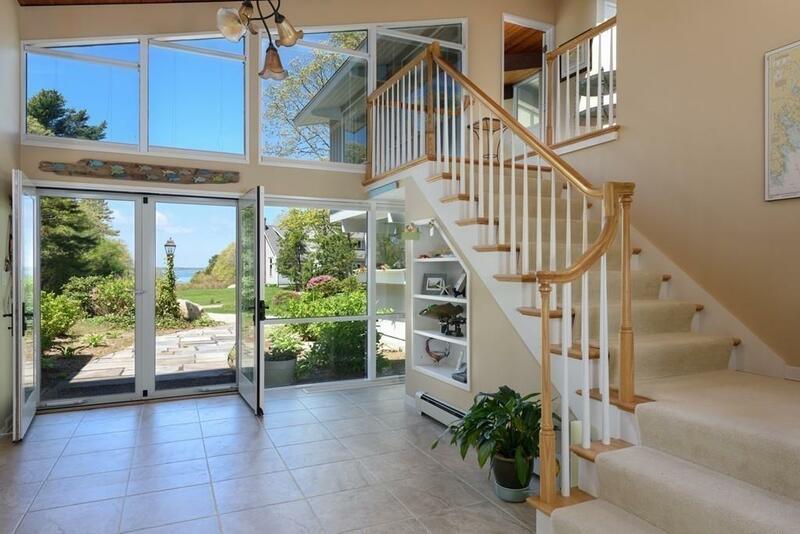 This freshly remodeled and expanded home welcomes you to enjoy the sand and sea, then entertain on one of several decks. The main house boasts a Master En Suite and three spacious guest bedrooms as well as a bonus room that could be used as an office, gym, or extra sleeping space. Three Spa-inspired bathrooms round out the incredible amenities you'll find in this home as well as a new, huge gourmet kitchen overlooking the views. Two additional sleeping spaces and half bath with outdoor shower are above the detached two car garage behind the main house. A lovely, shaded patio out back lends itself to barbeques and gathering after a day in the sun. A new attached garage was built when the kitchen was added and raises the total garage spaces to three. Whole house generator, recently certified Title V system, lovely yard. 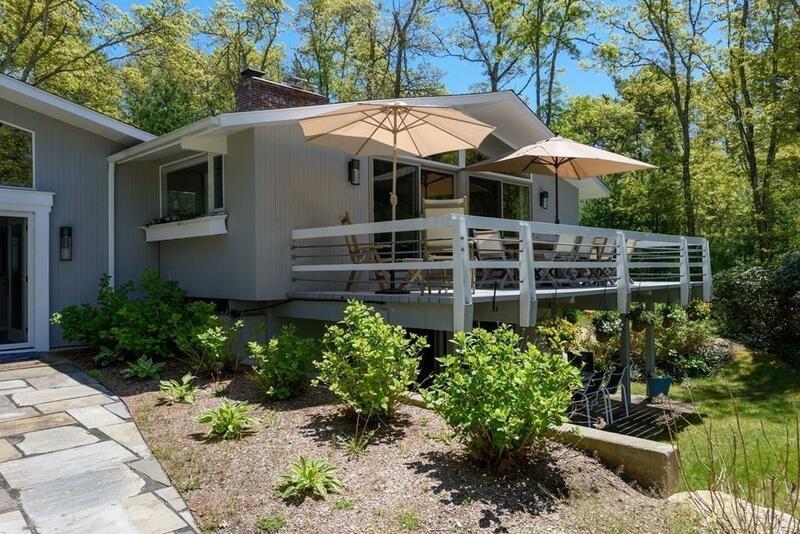 Listing courtesy of Cheryl Tormey of Kinlin Grover North Falmouth. Disclosures Exterior Front Deck Top To Be Replaced. Refrigerator Washer And Dryer Kitchen Light Fixture Excluded From Sale. Exclusions Refrigerator Washer And Dryer Lighting Fixture Over Kitchen Table Excluded From Sale. 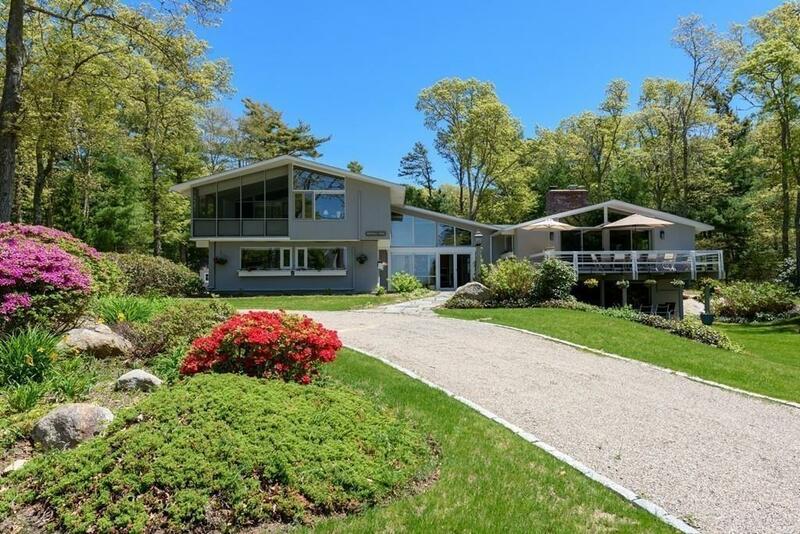 Listing provided courtesy of Cheryl Tormey of Kinlin Grover North Falmouth.